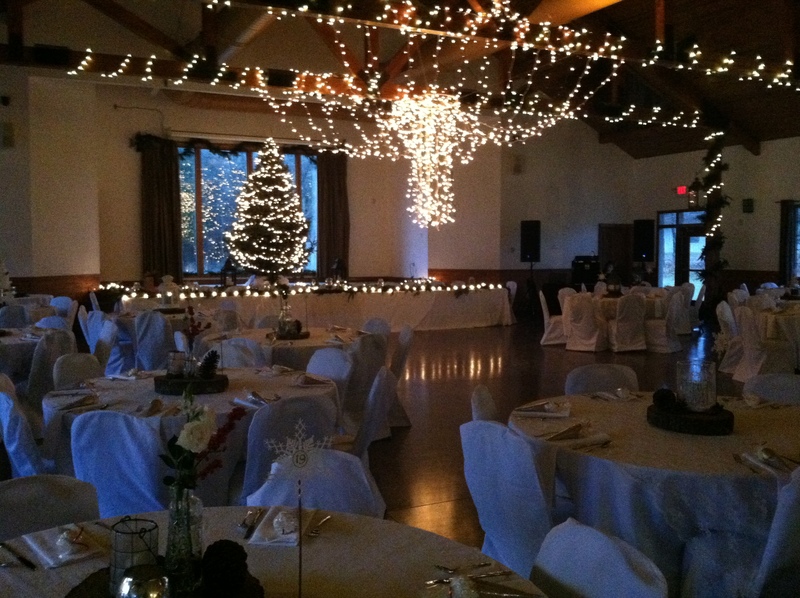 Thinking of having a rustic style wedding, looking for an outdoor wedding venue, or just looking for a beautiful indoor hall for your reception? 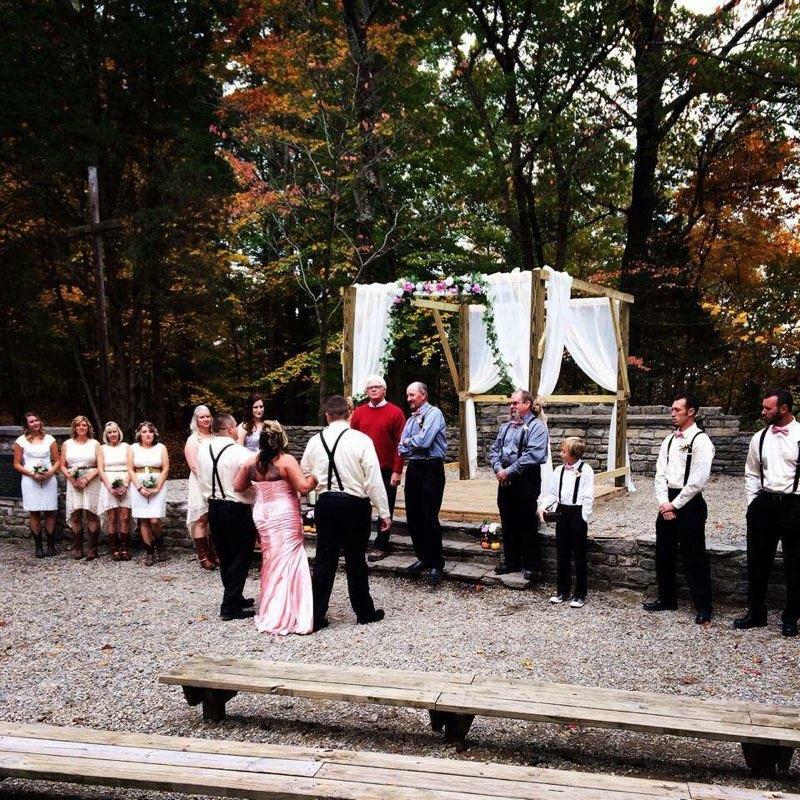 Well YMCA Camp Kern could be the perfect location for your big day! 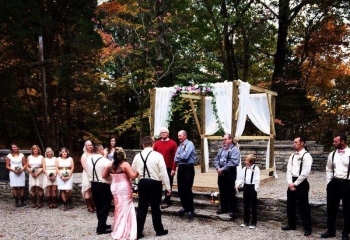 Our outdoor chapel tucked in the woods provides the perfect atmosphere for an outdoor ceremony. 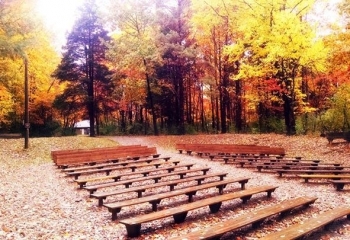 Amphitheater bench seating provides a great view for all guests to witness the exchanging of vows on the stone stage. After the ceremony, head over to the Schiewetz Assembly Hall to continue the celebration. 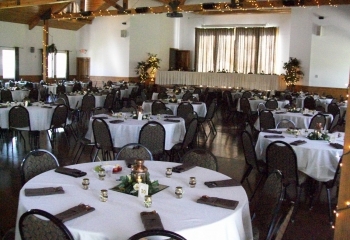 It features the beautiful Carl B. Kern Auditorium that seats up to 220 guests at round tables. 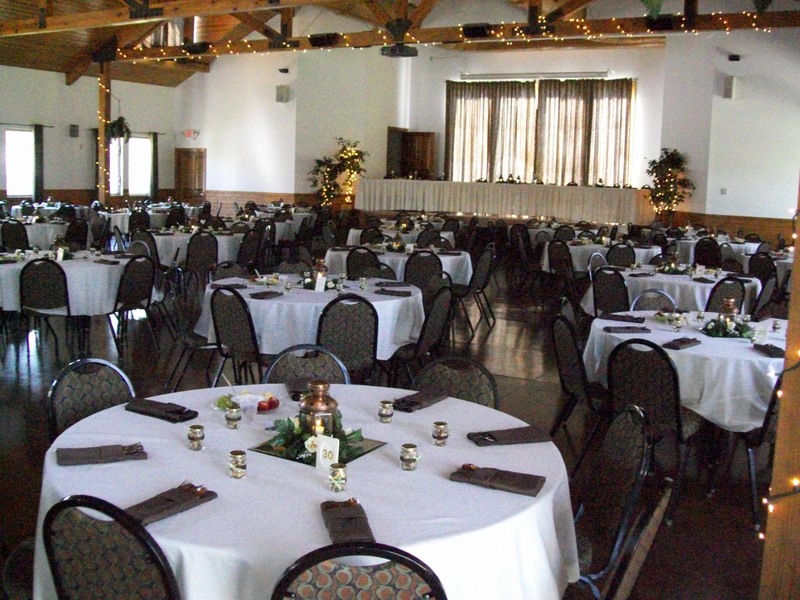 The space also includes four meeting rooms perfect for getting ready on the big day! 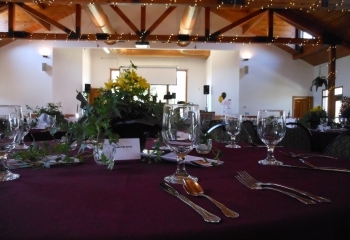 Rental of the Schiewetz Assembly Hall for weddings is typically $2,500, with the use of our Outdoor Chapel for an additional $500. 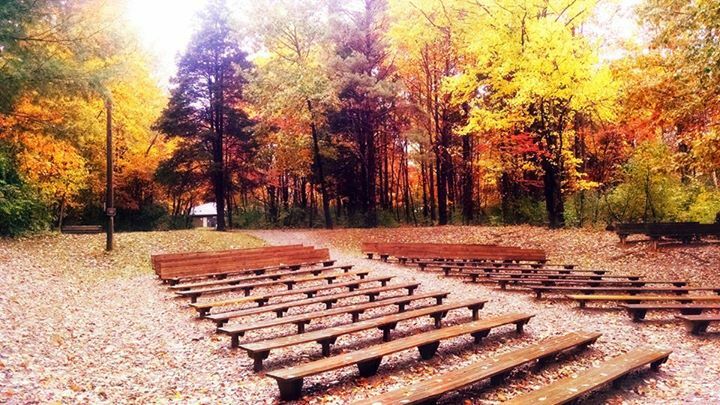 All day rental (8am- Midnight), plus access evening before after 5pm for set up / rehearsal. Prep Kitchen (warmer, refrigerator, cooler for drinks). 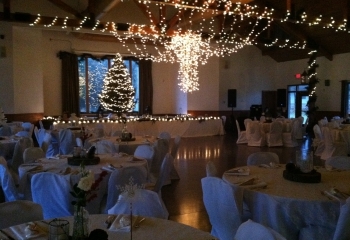 5’ round tables & banquet chairs (set up not included).